As you are probably aware, concerts at Orchestra Hall are not cheap, and ours is no exception. Please help make beautiful music available to all by making a donation now. Every gift, large or small, is appreciated! You can make a difference by making a contribution. 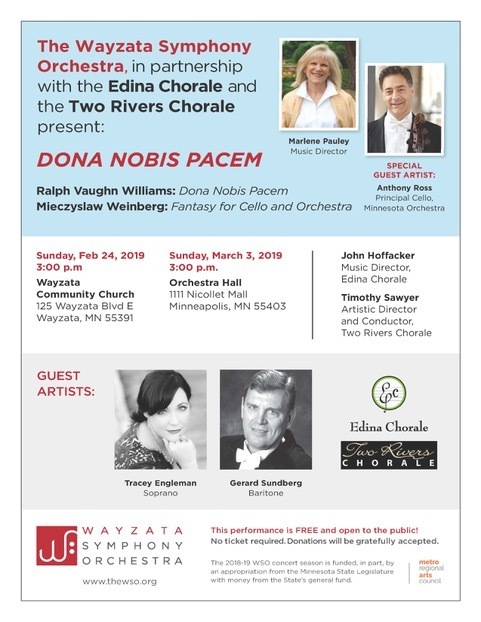 Thank you for your support of the Edina Chorale!